All the team at reflexblue are very proud of our resident ‘karate kid’ Ania, as she has been awarded with the ‘Talented Sports Performer Scheme’. This fantastic award, sponsored by West Dunbartonshire Sports Club, is given to athletes who have performed extremely well throughout the year and have become top competitors within their sporting categories. 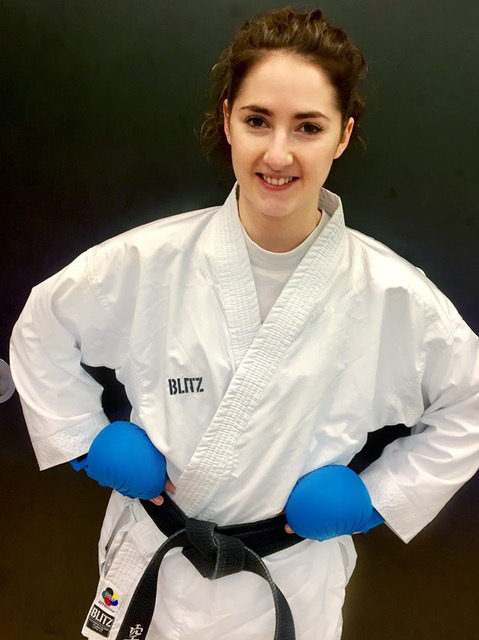 Ania, who trains at Kokusai Karate Club in Clydebank, has gone from strength to strength, since she joined the club in 2011. 2017 was a brilliant (and busy) year for Ania as she became; the Scottish National Kata Champion in Shotokan Style; The Scottish National Team Kata Champion; and she has won the bronze medal for all styles, and picked up the silver medal in the team at the National Kumite Championship. There is no rest for the wicked, as they say, because Ania is back in the gym training for up and coming competitions. These include – The British 4 Nations Championships, the Scottish International Championships and a various other national and international competitions during 2018.